Apart from many other precious and value able natural resources, Pakistan has large reserves of mineral ores and gemstones. Pakistani gemstones include a variety of minerals such as peridot, aquamarine, topaz, ruby and emerald, making the country significant in the mineral world. Pakistani Gems and Jewellery Development Company regularly held Gem exhibitions in Quetta and Peshawar where gemstones attested by Gemstone Identification Laboratory are traded. 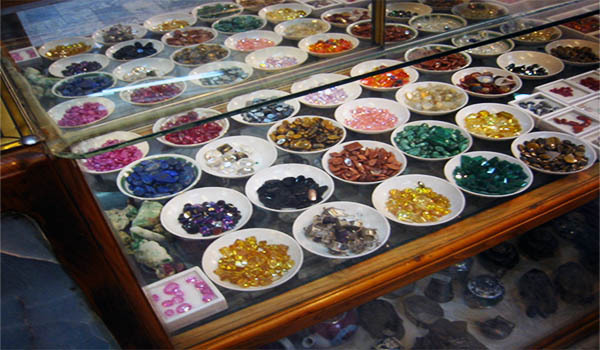 In recent exhibition, around two hundred companies from Pakistan displayed their items and in Islamabad Gem Exhibition 80 national gem traders displayed their products. 1] In the Khyber Pakhtunkhwa province, Hindukush covers the area to north and north-west, Karakoram to the north and north-east and Himalayas to the east. According to the Bureau of Statistics of Khyber Pakhtunkhwa, in one year 2568 tonnes of baryte, 85 tonnes of corundum and 1416 tonnes of quartz were produced in the province. It is believed, Swat has reserves of 70 million carats of emerald, Mardan has reserves of 9 million carats of pink topaz and Kohistan has 10 million carats worth of reserves of peridot. 2] The Federally Administered Tribal Areas are strategically located between the Afghanistan and Khyber Pakhtunkhwa province of Pakistan. The region is mostly dry and barren with hilly northern Bajaur and Mohmand agencies. In the central agencies of Khyber, Kurram, and Orakzai, the Safed Koh range is located while in the two southern agencies of Waziristan, the Sulaiman range along with Waziristan hills are located. A large variety of minerals and gemstones are found in these mountains. Emerald and tourmaline are found in the north, and garnet and quartz are found in the Bajaur and South Waziristan agencies. Department of Minerals is the government department working for the exploration and development of the mining industry in the region. According to their report, in one year 29759 tons of quartz was produced in Mohmand agency. However, the gemstone sector in the region is not developed and many resources have not been properly identified and exploited. 3] The three mountain ranges of Gilgit-Baltistan; Himalayas, Hindukush, and Karakoram contain many minerals and gems including emerald, ruby, sapphire, aquamarine, moonstone, and amethyst. A number of other minerals are also found in the region such as peridot, tourmaline, topaz, garnet, red spinal, pargasite, diopside, sphene, apatite, azurite, rose quartz, and agate. In Swat, pale green to green coloured emeralds can be found in talc-carbonate schist. In Hunza, well-formed pink to red crystals of ruby are found, while in Neelum valley high quality rubies also occur.